An expert panel has recommended that the Tripura government should adopt National Council of Educational Research and Training (NCERT) curriculum for schools in Tripura, state minister Ratan Lal Nath said Thursday. The panel also suggested implementation of the Central Board of Secondary Education (CBSE) syllabus across all government and government-aided schools in the state, the education minister said. A six-member expert committee headed by former Tripura University Vice Chancellor Professor Arunoday Saha submitted its recommendation yesterday, the minister said, adding, the committee suggested implementation of the CBSE syllabus to reduce the burden of books on students and discourage rote learning. Nath said the government would decide regarding implementation of the report. The six-member expert committee was constituted by the BJP-IPFT government a month ago, to prepare a roadmap for adopting NCERT curriculum. 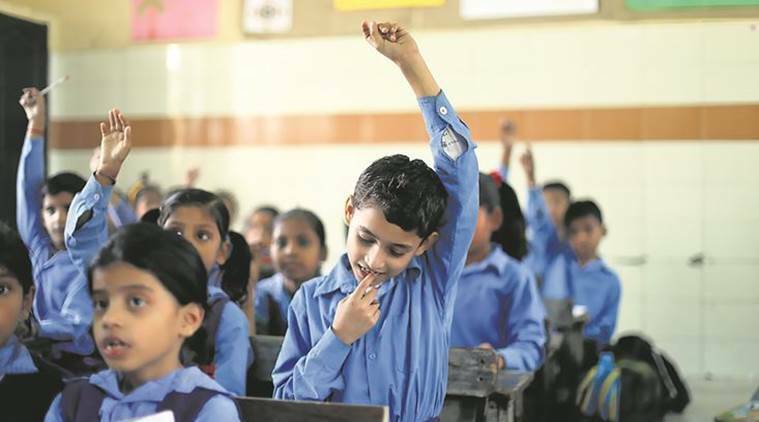 “We have collected inputs from fifty headmasters and from students of different schools for one month, and after analysing the data, we have come to the inference that the CBSE syllabus could be implemented from the first to eighth standard from January 2019 as books were already translated in Bengali,” Saha told PTI. “For implementation of the new course from classes 8 to 12, we have to wait for one more year (2020) for two reasons. One is that, the CBSE has decided to revise their syllabus next year (2019), and the books need to be translated in Bengali and local tribal language Kokbarak,” Saha said. The education minister also said that work was in progress to prepare new textbooks. Professor Saha said, NCERT Director, Professor Ranjana Aurora, CBSE Director, Biswajit Saha and Secretary of the State Council of Educational Research and Training (SCERT), Biswajit Gupta were the members of the committee among others. The erstwhile Left Front government had introduced a different syllabus in 2008 terming it to be “NCERT pattern” and the syllabus was revised several times, he said. After bad results in Madhyamik examinations conducted by Tripura Board of Secondary Examination (TBSE) this year, the government has decided to explore the possibility to implement CBSE syllabus as it is, Saha said. Madhyamik results for this year were announced earlier this month and the pass percentage 59.59 per cent. The pass rate has dropped by 7.79 per cent when compared to the previous years results.